Detectives yesterday started extensive surveillance on three suspects for their involvement in the murder of Niladri Chatterjee, who was killed on Friday at his Goran flat allegedly in the hands of radical Islamists. The trio were identified based on statements of the wife of the slain secularist writer, neighbours and locals, and also by analysing the post-mortem and the inquest reports. To confirm their identities, the detectives have sent a blood-stained towel and a red T-shirt collected from the ground floor of the building to the forensic department of Dhaka Medical College for DNA test. They also collected Niloy’s teeth from the flat and sent those for examination. Investigators said that the eight major stab injuries, found on Niloy’s body, were made by a left-handed killer. 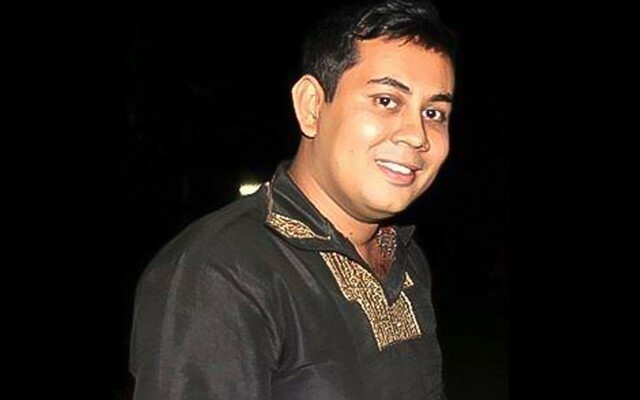 During primary investigation, the detectives have also found that the email claiming responsibilities for the murder was sent to different media outlets after the killing from a laptop based in Hathazari area of Chittagong. A group named Ansar Al Bangla sent the email, signed by its spokesperson Mufti Abdullah Ashraf. High officials of the Detective Branch of police have said that it was a fake name. Meanwhile, a team of the US-based Federal Bureau of Investigation held an hour-long meeting with the DB police officials and offered technical support in the investigation. Even though militant groups are the prime suspects, the investigators are also verifying whether the murder took place for other reasons. Police chief AKM Shahidul Haque said that the law enforcers as well as the government was concerned about the murder. “We are yet to make any major breakthrough, hope to solve it,” he added. A high official of police involved in the investigation process said that the T-shirt belonged to one of the four killers. “Now we will check footages of the CCTV cameras installed around the murder spot to trace the killers,” the official told the Dhaka Tribune seeking anonymity. Another senior police official said that they were checking mobile network data of the area to track the killer who had used mobile phone inside the flat to ask his three other accomplices to enter the flat. “We are also checking the phone call records of Niloy, his wife and some of his friends,” the official added. A three-member FBI team visited the DB office yesterday. They had a meeting at noon for one and a half hours with DB high officials including Joint Commissioner Monirul Islam. The FBI officials, however, did not talk to media. After the visit, DB Deputy Commissioner Mahbub Alam said that it had been a scheduled meeting on the investigation of US citizen Avijit Roy murder case. During the meeting, they wanted to know about Niloy murder case updates and wished to assist in the investigation. He said that the FBI would soon hand over the DNA test results of the evidence in Avijit murder case to the DB police.